“Facebook failed to protect the privacy of its users and deceived them about who had access to their data and how it was used,” Karl Racine said in a statement. The attorney general for Washington, D.C., filed a civil lawsuit Wednesday against Facebook, accusing the social media giant of "failing to protect its users' data" and pointing specifically to the Cambridge Analytica scandal that kickstarted broader skepticism about the company's privacy protections. 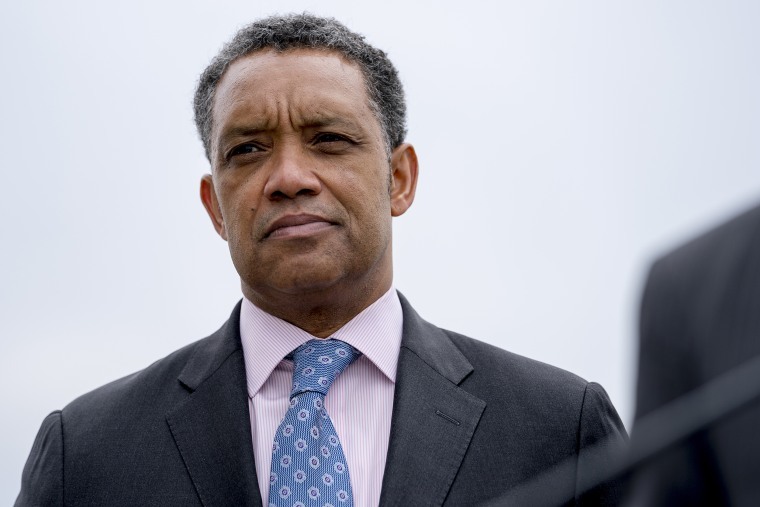 The suit by Attorney General Karl Racine marks the first formal effort to punish the tech titan over the scandal, in which Cambirdge Analytica was able to acquire Facebook user data surreptitiously collected through a quiz app to target ads for the Trump campaign during the 2016 presidential election. “Facebook failed to protect the privacy of its users and deceived them about who had access to their data and how it was used,” Racine said in a statement. The aim of the suit, according to Racine's statement is to seek "monetary and injunctive relief, including relief for harmed consumers, damages, and penalties to the District." The lawsuit did not name a dollar figure it seeks from Facebook. A spokesperson for Facebook said in an email: “We’re reviewing the complaint and look forward to continuing our discussions with attorneys general in DC and elsewhere." The social media behemoth has endured a series of scandals in regard to its stewardship of user data. Earlier this a week, a Senate report showed how Russian troll farms used Facebook in efforts to discourage African Americans from voting in 2016. And even Facebook COO Sheryl Sandberg admitted that her company needed to "strengthen and advance civil rights on our service." The lawsuit also comes just hours after The New York Times published a lengthy investigation of the company's partnerships with other tech companies, in which Facebook provided access to an array of user data, some without asking users for permission. Facebook has denied that any companies were able to misuse the data. Racine's lawsuit claims that the attorney general's office investigated Facebook and found a variety of consumer protection failures including misleading users about the security of their data, failing to properly monitor third-party apps that connected through Facebook, making it difficult for users to control their data settings for connected apps, failing to disclose the Cambridge Analytica situation, failing to ensure improperly collected data was deleted, and failing to tell users that companies could override privacy settings. Specifically, the lawsuit claimed that researcher Aleksandr Kogan was allowed to launch a Facebook app called "thisisyourdigitallife" in 2015 that harvested data, not just from willing users but also of friends of those netizens. "The vast majority of these Facebook friends never installed the App, never affirmatively consented to supplying the App with their data, and never knew the App had collected their data," the lawsuit said. As a result, Kogan was allegedly paid more than $800,000 to work with Cambridge Analytical and use information from millions of Americans to tailor a political message in 2016. "Kogan provided Cambridge Analytica with the personal data and derivative data of the approximately 70 million United State Facebook consumers whose data was harvested, which included almost half of all D.C. residents," the lawsuit said. "Cambridge Analytica used the data it acquired from Kogan to, among other things, target digital political advertising during the 2016 United States Presidential Election." Kogan has insisted he did nothing wrong.